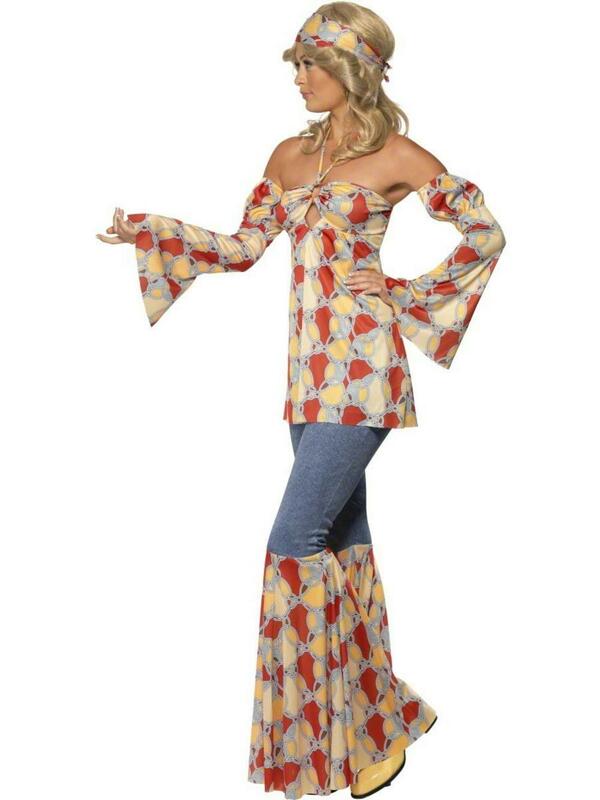 You'll look like the cutest hippie girl at any fancy dress party when you wear this quintessentially 70s fancy dress costume. 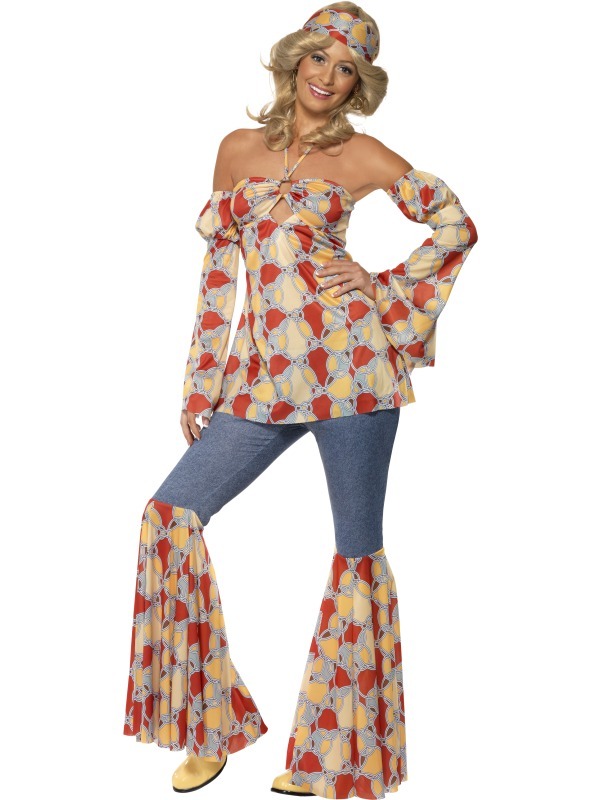 The realistic costume is based on the stylings of the era and comprises of a drapey halter neck top decorated in a cute and colourful red and yellow coloured pattern, a pair of flared denim look trousers decorated with a matching pattern, completing the hippie costume is a headband decorated with a matching print. 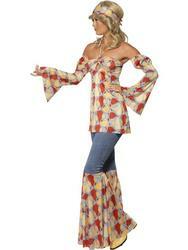 Perfect for wearing to a 1960s or 1970s themed fancy dress party.